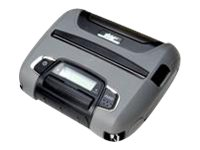 Intermec PR2/PR3 durable mobile receipt printers are ideal for invoice printing and secure payment capture capabilities within the direct store delivery, field service, mobile point of sale and electronic citation markets. 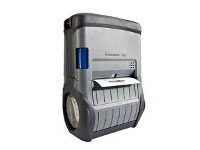 Designed specifically for mobile field professionals who need all day comfort and durability in a mobile receipt printer, the lightweight and compact Intermec PR2/PR3 is the perfect fit for your workforce. 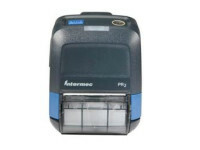 Available in two-inch wide (PR2) and three-inch wide versions (PR3), these durable mobile receipt printers deliver a competitive advantage as the fastest, most compact durable mobile printer family with both invoice printing and secure payment capture capability. 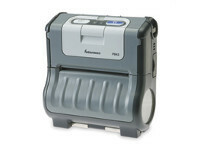 An Ideal Fit As the smallest, lightest and most durable mobile receipt printer in its class, PR2/PR3 can be comfortably worn all day, using the included belt clip, optional belt loop or shoulder strap for additional user comfort. PR2/PR3 easily fits into your existing infrastructure saving you time and money. The ideal companion to Intermec world class mobile computers and scanners, PR2/PR3 printers interface seamlessly via secure Bluetooth® 2.0, USB or IrDA with the CN, CK and CS Series handheld computers. PR2/PR3 also has the ability to print from a wide range of mobile computing devices and smart phones to produce receipts on demand. Available with optional integrated PCI compatible card reader, PR2/PR3 gives your mobile workforce the ability to securely capture payments on the go and immediately provide receipts for increased productivity and customer satisfaction. Flexible PR2/PR3 and its accessories are designed for modularity. PR2/PR3 printers work with Intermec’s innovative FlexDock system, bringing a new level of efficiency to docking and charging. FlexDock sharing among Intermec’s mobile computers and PR2/PR3 mobile printers enables multiple options for data communications and/or charging, and a common interface between cups and bays for added flexibility within a single dock base. The result is an immediate total cost of ownership benefit. PR2/PR3 innovative smart battery monitoring minimizes replacement costs and increases workforce productivity providing valuable insight into battery usage and replacement needs before the battery runs out. 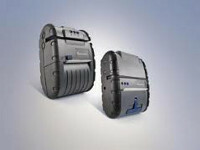 Field-replaceable batteries can be charged independently of the printer, further maximizing uptime and convenience. With PR2/PR3 remote management & health monitoring, your workforce won’t be slowed down. New firmware and/or fonts can be sent to the printer remotely, so there is no need to touch each printer during updates. FastWith the fastest time to first receipt for a durable mobile receipt printer, PR2/PR3 delivers a clear productivity advantage for your workforce providing the user with a printed invoice in hand 20-30% faster than competing durable printers. PR2/PR3 is one of the fastest mobile receipt printers to integrate and deploy into your existing infrastructure. PR2/PR3 supports ESC-P, CSim (CPCL) and XSim (Ex-PCL) print command languages in each configuration enabling a virtually seamless deployment experience regardless of your current language environment. And with multiple connectivity options, PR2/PR3 is always ready to work. USB 2.0 (client) is standard with optional IrDA, or Bluetooth 2.0, 802.11 b/g wireless connectivity featuring the latest security protocols, PR2/PR3 enables a fast, secure connection to your network. Priced affordably to enable cost-effective receipt printing, PR2/PR3 durable receipt printers are the right fit for helping companies increase the return on their mobility investment. PR2/PR3 printers are part of a complete hardware solution from Intermec that includes Intermec receipt media as well as a full range of AIDC products. Intermec mobility lifecycle services provide customers and partners with best-in-class support, education, managed and advanced services. We deliver business continuity expertise throughout the lifecycle. From evaluation to integration, implementation and maintenance to refresh, Intermec helps build a total customer lifecycle solution for managing, controlling, optimizing and securing devices, assets and resources across Automatic Identification and Data Capture (AIDC) technologies. For your PR2/PR3 support plan needs, our Intermec Medallion® Services programs deliver the highest levels of productivity, device reliability, and uptime for mobile field deployment environments. Medallion Service is available in over 70 countries with global pricing and global standards of quality. Drop Spec: 1.2m (4 ft.) drop to concrete per MIL STD 810G, 1.5m (5 ft.) multiple drops to concrete with optional environmental case.